In the middle of last month we brought readers the news that the Plants vs. Zombies 2 iOS app was now available. The game has been a huge success for PopCap, but plenty of Android device owners have so far been left out of the loop. The lack of the Android app seems a huge mistake by PopCap as it is apparent that Plants vs. Zombies 2 is missing out on Android users. Time and time again we’ve seen Android users having to wait many moons until they see the release of certain popular apps, after they’ve been available for the iPhone for some time. PopCap doesn’t appear to be in any hurry to get Plants vs. Zombies 2 to the Android platform, and this really seems to be a missed opportunity. The Plants vs. Zombies 2 for iOS game has achieved over 25 million downloads since launch, proof of how popular the app could be for the Android platform. The lack of the Android version of the app is a huge topic on social networks and blogs, with thousands of people commenting on the matter. However, as pointed out by Product Reviews, PopCap has never actually confirmed that Plants vs. Zombies 2 for Android will ever release. Nevertheless, it’s a natural assumption that the game would arrive for Android, given the dominance of the Android platform, and you can therefore understand how Android device users are left frustrated by its absence. 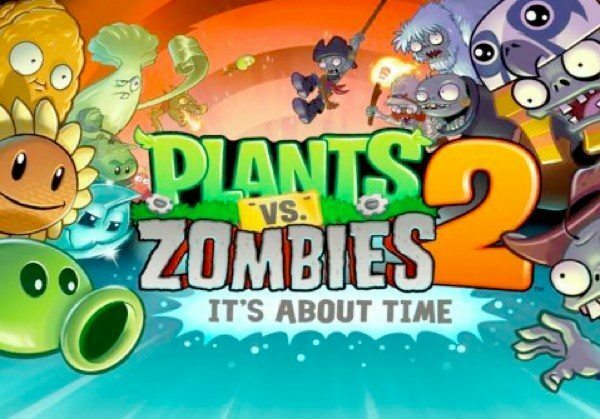 We’ve already seen people taking advantage of the fact that the Plants vs. Zombies 2 Android app is not yet available, with the arrival of fake apps on Google Play that fooled many people. Let’s hope that PopCap is taking note of the huge demand for this app to arrive for the Android platform, but maybe we shouldn’t hold our breath. Are you one of the many, many people waiting for Plants vs. Zombies 2 on Android? Maybe you’re baffled or annoyed that the app hasn’t been rushed out for Android device users? Let us know with your comments. i m a huge fan of pvz and was happy with the ios release of pvz 2 but it makes me sad waiting for it now…its frustrating and i m annoyed with the conceptof prioritizing ios. ready for it to come to android users! Apple has to be paying them off. They don’t have a release date, not even a mention that they’re working on it for android, just complete silence. Although it makes me wish I had an iOS to play it, i will NEVER buy an iOS out of principle. I’ve always preferred android over iOS, but now this turns my dislike of apple into a burning hatred. Me, like many others are HUGE plants vs zombies fans that were insanely surprised when it came out for free, and would have paid for it regardless. But it isn’t fair that only a select few people get to play it, like my dad doesn’t even have a phone for Christ sake, but would easily spend 50 dollars on it. PLEASE BRING IT TO ANDROID OR PC SO I CAN MAKE ME & MY DAD HAPPY! I’m annoyed that PopCap didn’t even bother with a PC version. I mean, hello…that’s where PVZ came from! Ultimately it’s PopCap’s software and their choice. Only they know why. Resources? Time? Covert deals by platform holders? We’ll never know I suspect. What I do know is this, as things stand PopCap are missing out in income from me. I’ve been playing pvz just to satisfy my craving for this game, sadly it’s not working to well. It’s temping me want to steal an iPhone for a month just so I can play and beat pvz 2. I also second the PC comment. How do they leave out the platform the original one was created on. I feel like they would have gained a lot more profit if the wouldn’t have gave into apples demands and released to all platforms. I was so disappointed and pissed that it only came out on apple systems. I have an android phone and a kindle and can’t play it anywhere. I loved the original game and I believe they are missing out on a large number of people who will play this game on an android set up. I think it’s a real jerk move to only have it available to one system. I hope this gets resolved soon so that us other half can enjoy the game too!! plus why not launch it on both at the same time??? or wait till both can be launched it’s a pondering question I have???? I’m very disappointed as well. I’ve got an original ipad, which isn’t supported by the game. I’ve also got a Galaxy S4, which means I’m SoL for this game. I really love PvZ, and was super excited when I saw there was a new one. What a big let down this is. At this point, Apple devices are completely overshadowed by Android. Why would any development company still choose to release on iOS first? It seems that it should be the other way around these days. Apple users should be waiting many moons for an app to be released on their device. I have loved P v Z since it was on PC. I was shocked when they didn’t release it for PC and now I am anxious, frustrated and sometimes down right mad that they won’t let me play because I have a Galaxy. Come one guys! Huh! I didn’t know that the PC version gets automatically disabled if you own a Galaxy! Interesting! I am completely bumed that it hasn’t come out for Android. Please hurry up popcap! I wonder what they would do if no one bought the game!! I’m so disappointed that I’m just angry. It’s just dumb and doesn’t make any sense. Why make it an exclusive? I don’t understand the benefit of it. You would think that the sequel would at least be released for the PC, along side apple considering that the original game premiered on the PC. But no. Android users have to suffer. C’mon guys! Let us have PVZ2!! We need our fix! Ok then, you have to tell my son why he can’t play his favorite game! JJ, I’ve seen both of your comments, and it’s not very clear what you’re actually trying to say. It’s only clear that you’re upset. Maybe you should try rewriting your comments so the rest of us can assist you with your difficulty. It’s okay, don’t be afraid to try again. We all make mistakes. In case I don’t end up back on this site, I wish you luck with your communication skills in the future. I’m a Droid and PC user and big fan of PvZ. This exclusive with Apple is really SAD! What is wrong with PopCap that they would leave out such a large market! We want PvZ2 too!